Organic plant protein powder is protein derived from plant sources like peas, hemp, and rice. Your body uses protein, or amino acids, for nearly every important function it has to perform. From our immune system to hormonal balance, amino acids are involved. Simply put, your body NEEDS protein! Getting enough protein helps keep you full, gives you healthier hair, skin, and nails, and can help you manage and even lose weight. If you are lactose intolerant, sensitive to animal products, or just want a natural, organic source of protein, than a plant protein powder is the way to go. Organic plant protein is easier to digest than whey proteins, is easier on the stomach, and has the same benefits as other types of protein! Use it to increase your daily protein intake so you can support your busy, active body. An organic plant protein powder can also help you recover faster after your workouts and help you build a lean physique. Have a protein shake right after your workouts to help reduce soreness and fuel your muscles. Adding an organic plant protein powder can also help support your weight loss goals. Getting enough protein in your diet can help you support lean muscle, reduce hunger, lose weight, and achieve a lean, healthy body. Protein can also help you achieve healthier hair and nails! 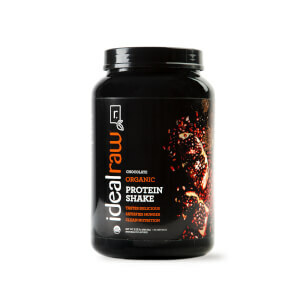 IdealRaw Organic Protein is the best organic plant based protein powder. It has a blend of seven different plant proteins that provide all the essential amino acids your body needs. IdealRaw is also the best tasting! Have you ever tried a vegan protein and thought it was super chalky or flat out gross? You’re not alone! IdealRaw comes in lots of smooth, yummy flavors like mocha, chocolate peanut butter, and banana almond! What Does IdealRaw Taste Like? Most plant protein powders taste bland or worse, like the dirt the plants came from. IdealRaw is anything but earthy and gritty. It’s smooth, mixes easily, and tastes delicious! We proudly back up the taste with our Flavor Pact. If you don’t like it, send it back for a full refund. Does Organic Plant Based Protein Have Special Benefits? Choosing a plant-based protein not only means you’ll get the protein and amino acids your body needs, but you’ll also get certain vitamins and minerals unique to the plant sources in the protein. You’ll also get all the benefits that come from fiber and healthy fats. Is IdealRaw Protein Certified Organic? IdealRaw has passed the highest form of organic inspection and is certified organic by the USDA & CCOF. This means every ingredient passes the strict production requirements of these organizations. 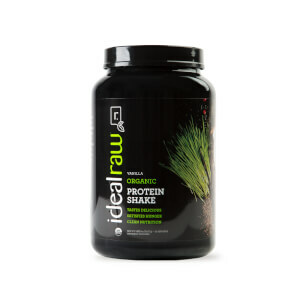 Why Should I Use a Plant-Based Protein Like IdealRaw Protein? Many people think that meat and other processed animal/dairy products are the only sources of protein out there. But did you know that many plant proteins contain the same range of nutrients and benefits as animal proteins? Easier Digestion — many people are sensitive to whey protein (most common) and other similar products. 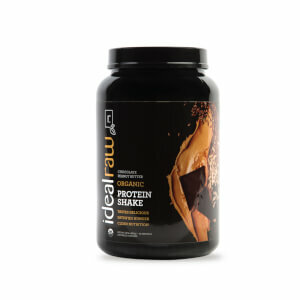 Complete Protein — by combining several plant proteins, IdealRaw Protein contains all the essential amino acids for muscle-toning and building. Reduced Environmental Impact — Raising animals and animal products use large amounts of resources, including 1,000’s of gallons of water and produces lots of CO2. Plant protein consumes far less water and produces only around 1/10th of the carbon emissions. How Does IdealRaw Compare to Other Brands? What makes IdealRaw unique from other brands is its emphasis on quality, taste, and ingredients. IdealRaw protein is sourced from 7 different organic plants to bring make sure you are getting all the essential amino acids and nutrition your body needs. IdealRaw also contains a superfood blend of 5 different fruits and veggies for an extra health boost.